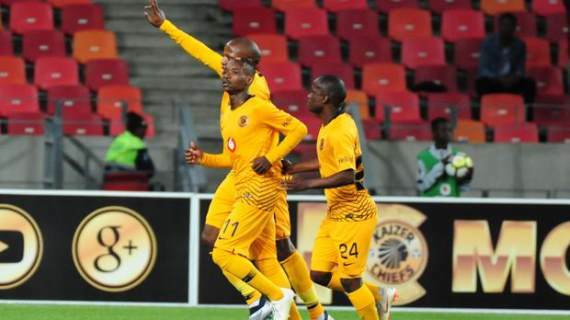 Kaizer Chiefs secured a 4-0 win over Zimamoto in their CAF Confederation Cup preliminary round clash at the Nelson Mandela Bay Stadium on Wednesday. Khama Billiat netted a hat-trick in a largely one-sided clash against the Tanzanian side. An early Lebogang Manyama nearly teed Willard Katsande up for the opener but he scooped over on the stretch. Billiat though made no mistake with his set-piece that found the bottom corner of the net. Leonardo Castro was wide with a free header from a cross by Billiat on 12 minutes, as Amakhosi did well to control play. Castro was close as the half wore on but saw his shot cleared off the line, ahead of a thumping second from Billiat from range, that was ultimately disallowed for a foul in the build up. Salem Mohammed had two good shots well saved while Castro really should have headed home a super Manyama cross. Hendrick Ekstein came on for Chiefs for the second half and did well to set up Castro, who in turn found Billiat, who bagged his second of the night. Kabelo Mahlasela added a third on 68 minutes as the home team really found their stride, while Billiat converted from the penalty spot for his hat-trick after Teenage Hadebe was fouled by Ibrahim Ahmad.